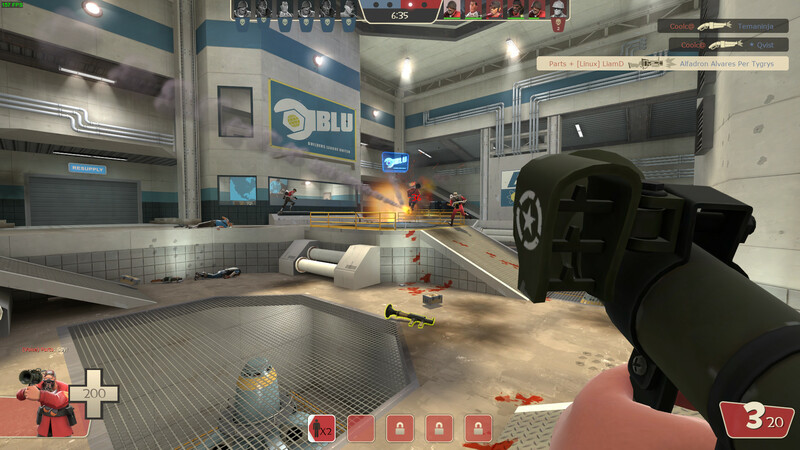 Valve are keeping Team Fortress 2 [Steam] alive for Linux gamers with the latest update making some welcome improvements. There's also going to be a TF2 charity event in May. First, to go over the few changes in the latest release. For Linux gamers, it should be a nicer experience now as they've improved the memory usage on Linux. Specifically, they note how when you're using high texture quality settings you should no longer get "Out of memory or address space" errors. Additionally, they noted that for those of you using Mesa, you should see "drastically improved memory usage" for versions of Mesa below 19. On that note, Phoronix recently noted how Mesa 19 (when it's out) should help to reduce TF2 memory use. There's also some new tournament medals, they updated "cp_snakewater_final1 to fix missing player clips" and sorted some localization issues out. I tested it out for a while today after this patch hit and it's running very nicely. Super smooth! As for the new charity event, it's "Operation Madness vs Machines" which will take place on May 17th to help the Extra Life charity. During the event, you will be able to earn up to eight new in-game medals although some require donations and some are for those who make content for the event it seems. They're trying to raise $10K with nearly $3K already donated. Seems like a good cause. See the update notes here, charity event details here. That game run like crap to me and I have more then good pc (ryzen 1800x and gtx 1080 ti) and very good internet. So, is it below as written, or above, as I previously thought? I am still a bit doubtful about this patch, though. Shouldn't that optimization disabled only when running low on memory, or in 32 bit apps? The release notes specifically say for Mesa versions prior to 19, so versions below 19. Likely because Mesa 19, as noted has an improvement for it directly. When put into context with this article about Mesa 19 on Phoronix, I think might be right as written, that is, below, because the new also Mesa has a fix for memory problems with TF2. But is it still bland? I was told it has no identity. Nezchan But is it still bland? I was told it has no identity. I don't think Liam's ever gonna live that comment down. kalin That game run like crap to me and I have more then good pc (ryzen 1800x and gtx 1080 ti) and very good internet. 'fps' to see your frame rate. Don't forget to check it not only in spawn but in the action and different maps/parts of the map too. 'ping to check your latency. The lower - the better. Below 30 is great, 31-60 is okay, 61-99 is bearable and 100+ is bad. loss is the amount of network packets lost due to the bad physical connection. Is you see something else than more or less stable 0 - blame your ISP. choke is the amount of packets that server couldn't sent you due to your game's wrong settings. Also - more or less stable 0 is preferable. If you have high ping, or/and a lot of losses/chokes - you have network problems. If you have the frame-rate problems - I'd suggest a graphics config. There's a bunch of them available, I've recently tried mastercomfig and I kinda like it. With Ryzen 7 2700X, GTX970 (415.25 drivers), 16Gb DDR4 I'm getting about 100~120 fps during action on 12v12 pl_swiftwater server and 200+ on empty spawn. If you have a high ping - for Casual in main menu click on your avatar and then on "Matchmaking settings" and then enable and set "Use Custom Ping Limit". For community servers - you can enable filter for Latency and sort results by the lowest/highest latency. If both fps and ping are fine for you - you may try to dig into the TF2's network configs.